I think I might be back into my sort of groove with trying new things – and posting them! I don’t even remember how I came across this recipe at Cooking.com – I know I was supposed to be working and not looking for recipes Since I made the Chicken and cherries I discovered that I kind of like curry powder. And I like almost everything else in this recipe too, so since it’s summer and I’m all about the weather-appropriate food, I decided to go for it! I went with a store-bought rotisserie chicken and dried cranberries. I also used a little bit of sour cream in place of some of the mayo, and I only used 1/2 a cup total. (I’m not the hugest fan of mayo – hence the sour cream substitution – plus I needed to use the 1/4 cup or so that I had left :)) Because I was a little wary of just dumping everything on top of the pasta and chicken, I mixed the sour cream, mayo, curry powder, salt & pepper together before I added. I didn’t want to have one bite that was all curry powder, and another that was all mayo. Ew!! After having this for lunch a couple days in a row, I began to wish that I had gone with the 3/4 cup of mayo/sour cream, because it got a little dry. The first plate or two I had was fine, though. Cook the tortellini or ravioli according to package directions. Drain and put into a medium bowl. While the pasta is cooking, remove the skin and bones from the chicken and discard. 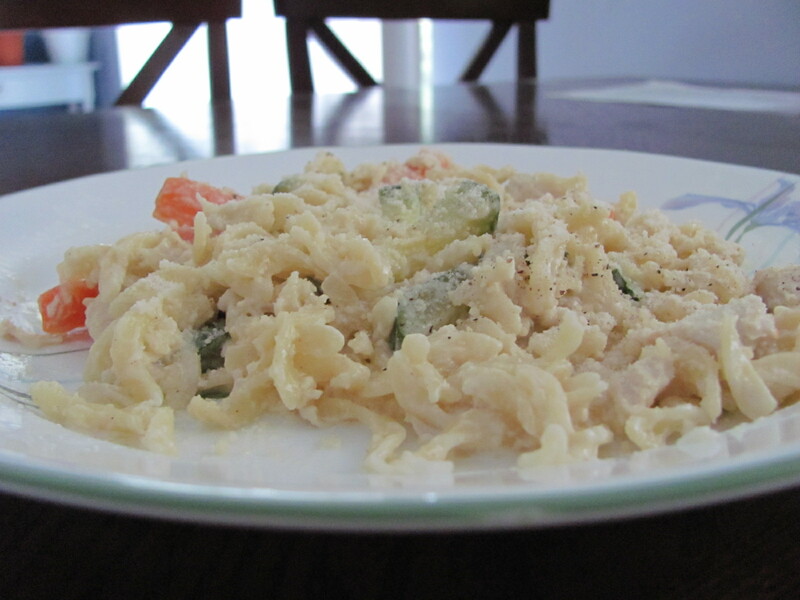 Cut the remaining chicken meat into bite-sized pieces and add to the pasta. Chop the scallions and add the chopped white part and some of the chopped green stem. 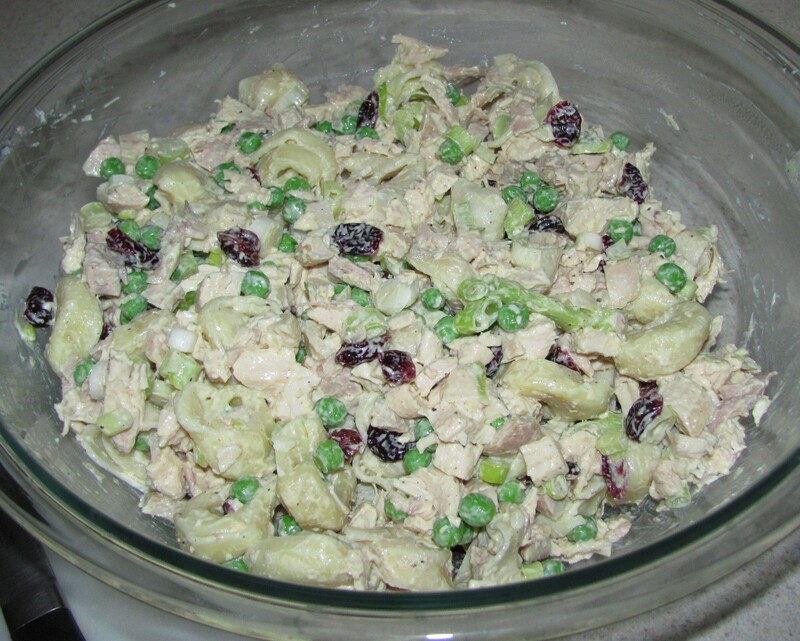 Add the fruit, mayonnaise, peas, curry powder, salt, if desired, and pepper, if desired. Mix well. Garnish with remaining chopped green part of the scallions, to taste.